Life through the eyes of a six-year-old is marvelous! My son is quite a character. Even daily challenges like sitting in traffic can become fun-filled “Awesome Mom Moments” when they are viewed through the eyes of children! “Awesome Mom Moments” energize me to take inspired action! Who knew that “turkey shopping” could help me redefine my business? The simplicity of his answer struck a chord in me. I needed to simplify my life. I have purposely stepped away from blogging for a while. On May 1, 2015 I began a new career journey. I joined the Rural Futures Institute at the University of Nebraska as their Associate Director. It is a fantastic role with an organization focused on an exciting vision: The Rural Futures Institute will be an internationally recognized leader for increasing community capacity as well as the confidence of rural people to address their challenges and opportunities, resulting in resilient and sustainable rural futures. The new role meant that it was time for me to update my website, blog and business purpose. This transition has been a journey for me, my family and my business. It is an honor to be both a University administrator and an entrepreneur. My business and blog are also going to evolve. The key area I am personally committed to is empowering women and girls around the world. I am specifically connecting with women over the age of 40 to do this. Why? Women over 40 are powerful, dynamic, game-changing leaders who are making the world a better place through family and the workplace. However, their contributions go unrecognized too often. I want to change the narrative so young women and girls see an amazing version of their future selves and so boys and men better respect and appreciate all that women bring to the table of life. 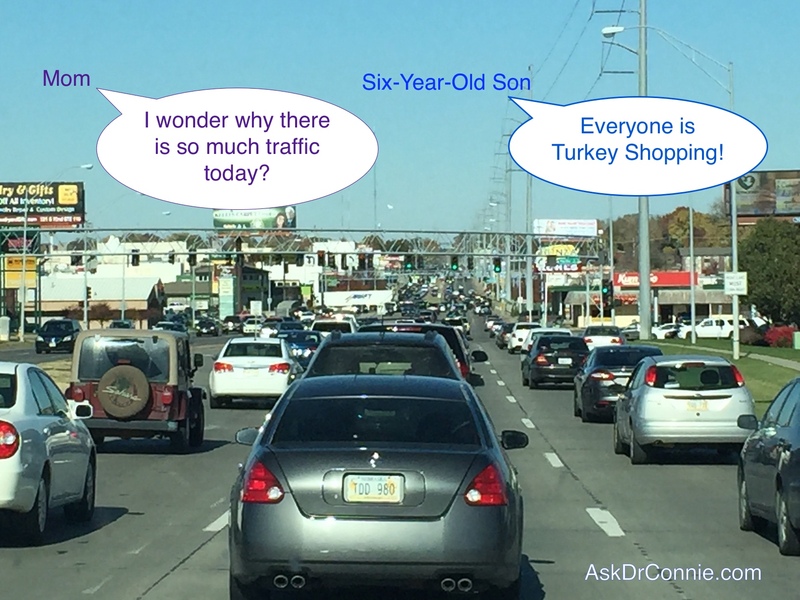 The joyful simplicity and honesty of my son’s “turkey shopping” comment was a moment of pure joy. While life sometimes seems overwhelming and stressful, it should be fun, simple, beautiful and joyful. I am asking you to help me begin a new conversation about women over 40. What brings you joy? What are your “Awesome Mom Moments?” What topics and resources would add value to your life? Please leave your joyful experiences, Awesome Mom Moments and ideas in the comments section below! Go Wild with Your Turkey Shopping and Awesome Mom Moments!